If you are having a bad day, or something is causing you pain, please don’t post on Facebook, as it will only cause you more pain. We are social beings, we share, and it is good to look for support, but sometimes, it is best to wait and see if it passes. 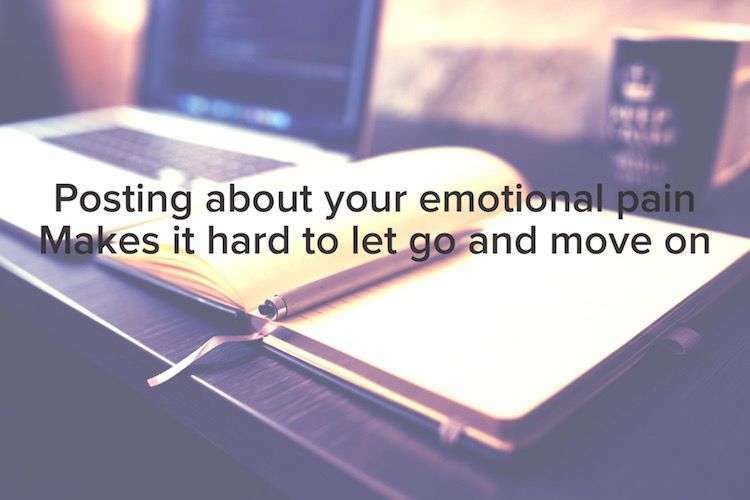 This can be minor psychological pain, or the big stuff that we all get hit with. If something is hurting you and you post to social media. Hours, days later, you might be getting a reprieve from your pain. You could be in your kitchen making a coffee and ping, you get an alert. Oh yes, my pain, and you are right back in there suffering, as someone has commented on your post. It can be tricky not to post. You are human and you might have difficulty tolerating pain, and could have been rewarded in the past by posting and seeing your friends comments. But what about the day, when your friends are busy and don’t comment, or comment too late? You still have the pain, and this is now worse as no-one has reached out. This does not mean that they don’t care or have forgotten about it, but they shall have lives too. They could be busy or dealing with something themselves. But if you are in pain and are waiting for a response, you might not be able to see different reasons as to why no-one is commenting. Your pain increases. Now you are not only dealing with the original pain, but you have the secondary pain of no immediate comments. The trick is to learn to tolerate a certain amount of pain first. Now I am not advocating in any way to manage the ups and downs of life alone. Rather I am questioning the ability to move on, if you get constant reminders of your suffering each time someone comments. Try it and see what happens, try something first to soothe your own pain, sit with it a while before you post. If you manage this, you are learning to help yourself when in psychological pain, and you are also giving yourself the opportunity to move on and let go.